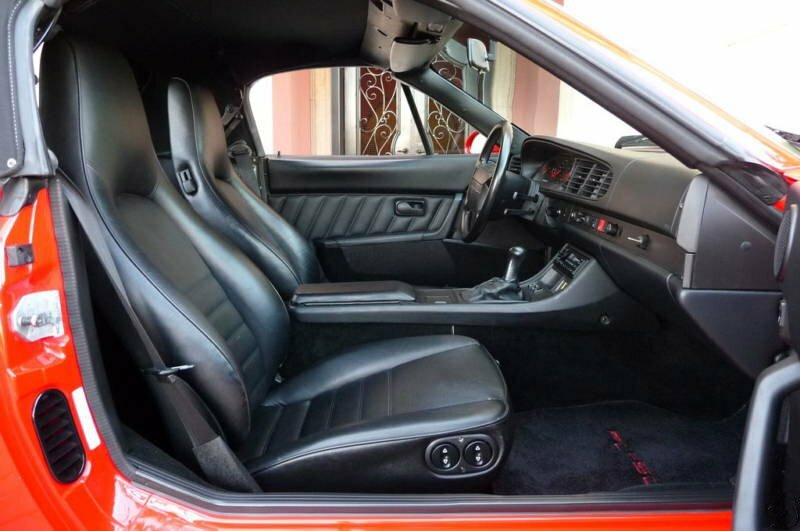 On the previous page we’ve covered the material and configuration aspects of 968 interiors so let’s move on to the third and final component, color. 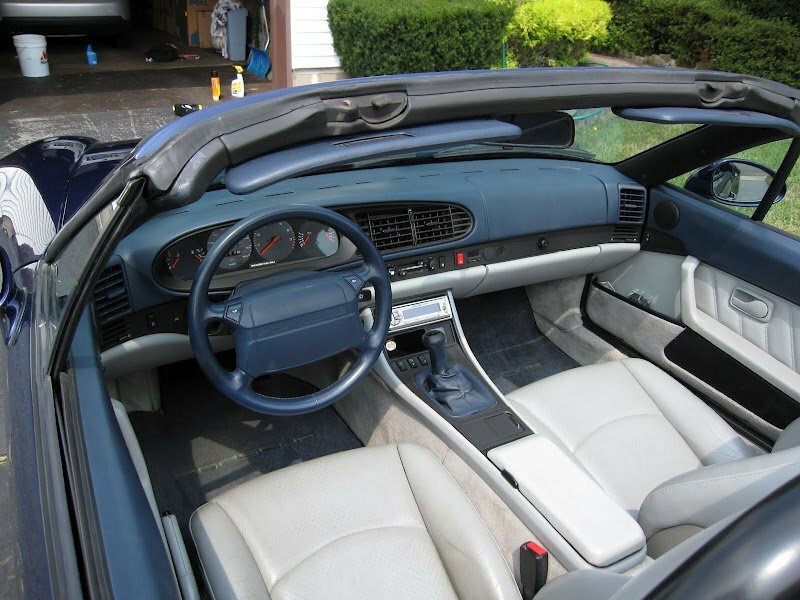 80% of the North American 968 interior colors were covered by the big three offerings: Black, Cashmere (sometimes referred to as beige), and Classic Gray. 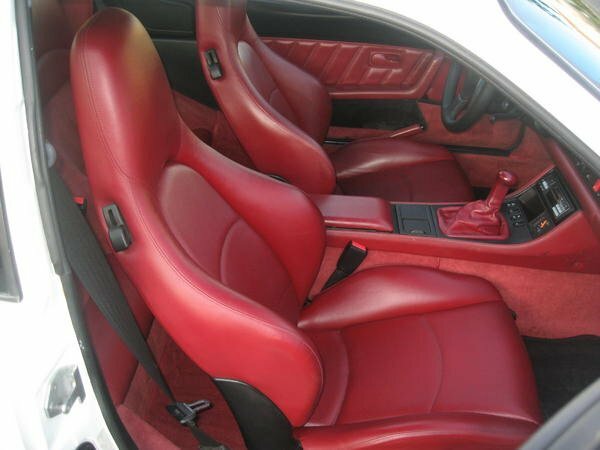 That said, there were 11 other standard interior color choices as well as additional special leather colors. 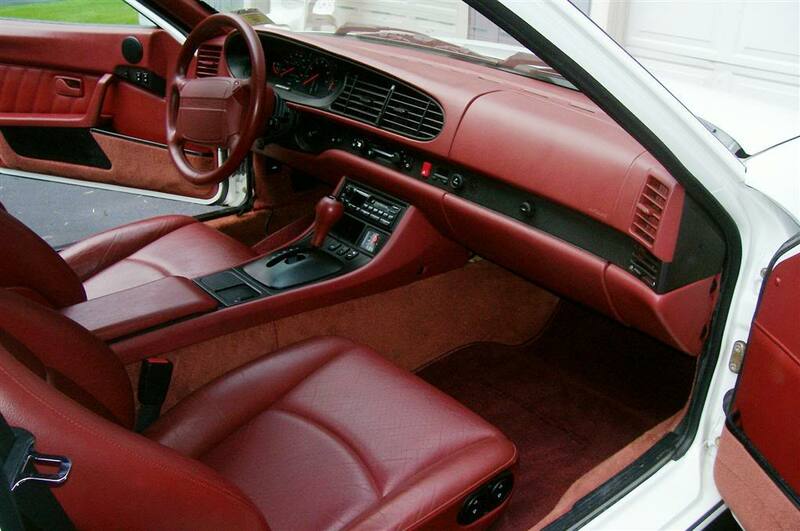 On top of that, leather “color to sample” was offered, but none of the North American 968s were optioned as such. 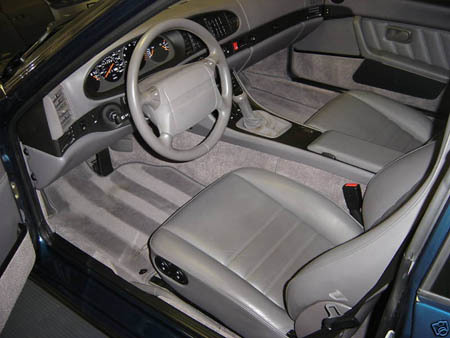 The most interesting available interior color was the 1992 to early 1994 offering of Light Gray. The reason that it was interesting is that it was offered in combination with four secondary colors. The choices were Light Gray with black, Light Gray with Classic Gray, Light Gray with Cobalt, and Light Gray with Magenta. 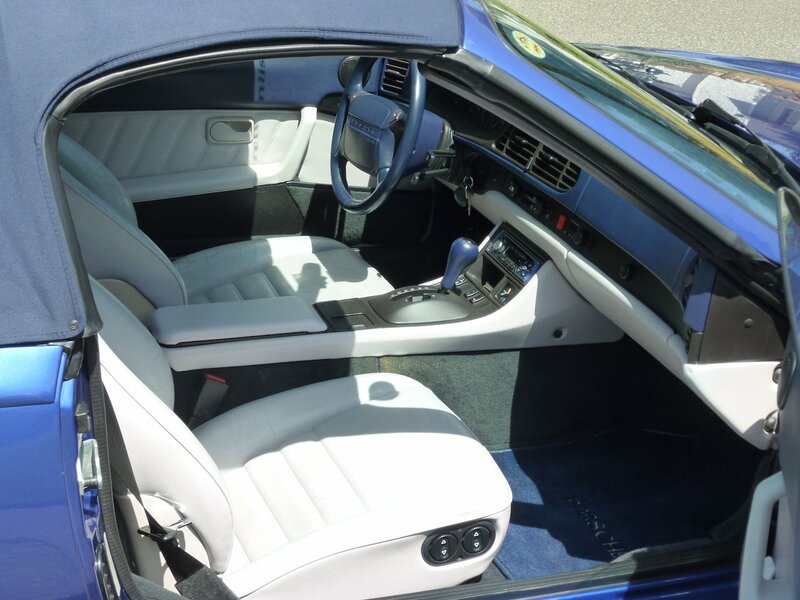 The interior pieces that were colored Light Gray would include the seats, carpets, lower door panels with pulls, lower dash, and console. 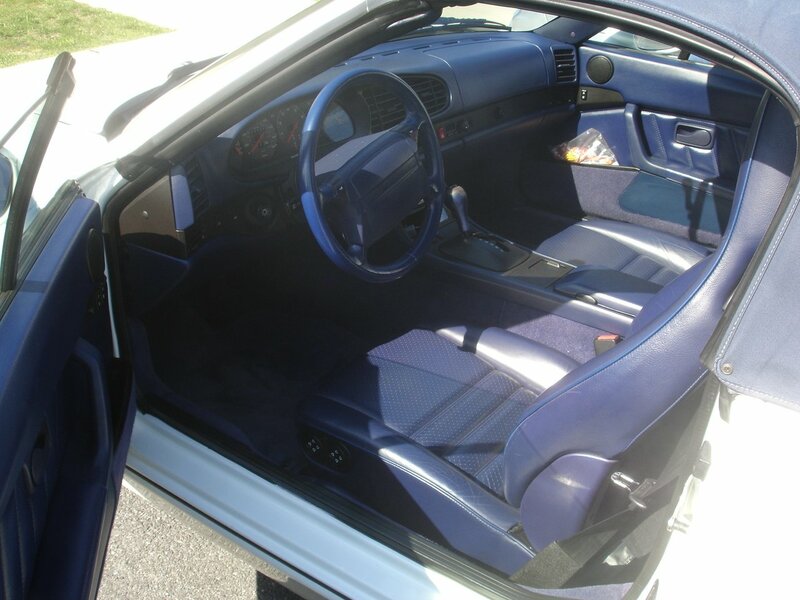 The additional secondary color would be found on the upper door panels and upper dash. 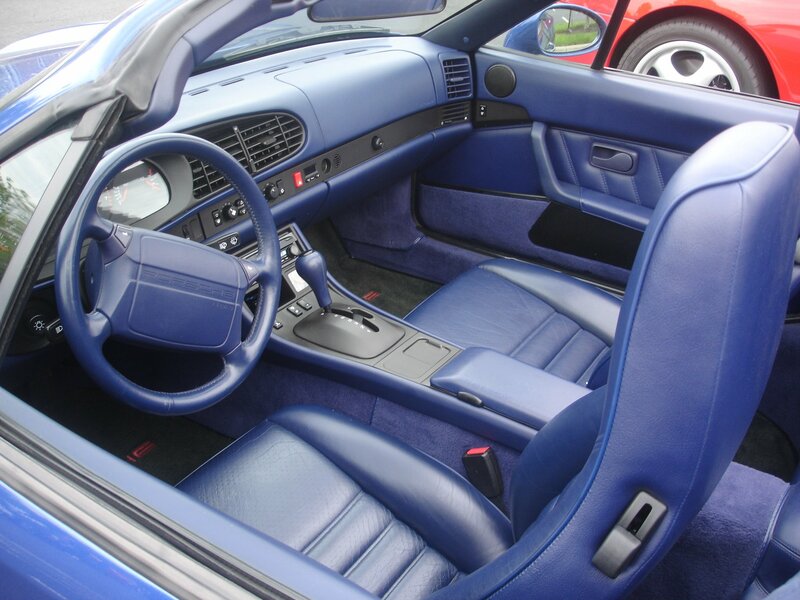 The result is quite striking and in my opinion, the most attractive of the interiors offered on the 968. Unfortunately, the Light Grey color was very light, almost white, and did not wear well. 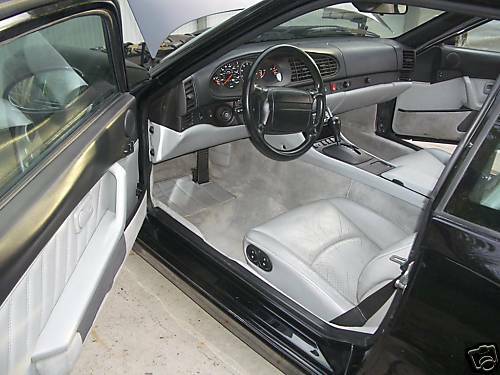 It was an extremely impractical choice for carpet but the use of floor mats would help in keeping it looking good. 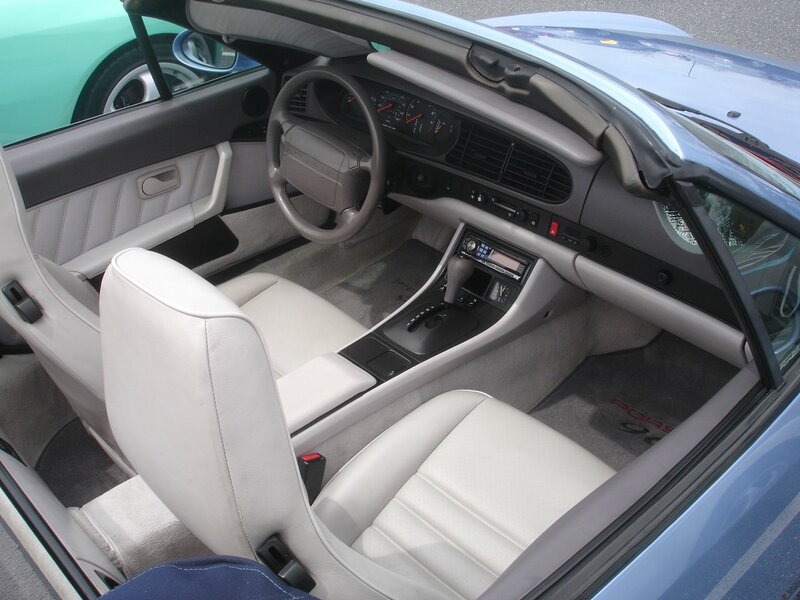 For the late 1994 model year, the Light Gray color was replaced by the slightly darker Marble Gray and the number of available secondary colors was reduced to two, Marble Gray with Black and Marble Gray with Midnight Blue. 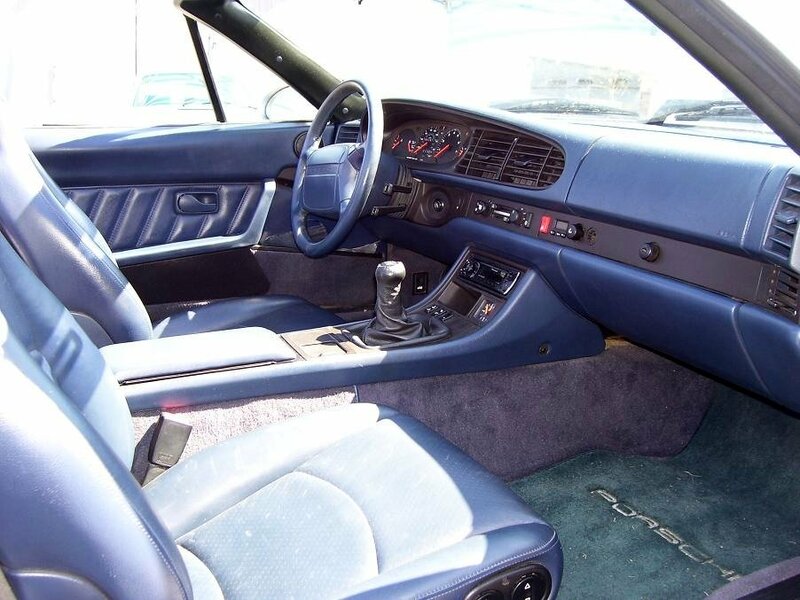 Full, single colored interiors were also available on the 968 with Black, Classic Gray, and Marine blue representing 52% of the NA production. 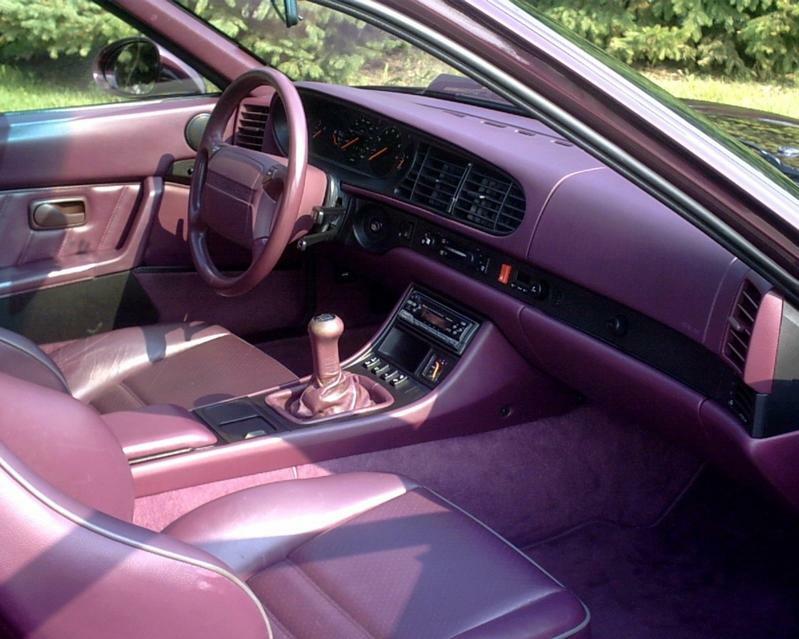 Rounding out the single color offerings were the rare Cobalt and Magenta interiors for 92 to early-94 and the very rare Chestnut brown for late-94 to 95.